We’d love to help you on your volunteering journey but being Sydney based we unfortunately don’t run programs throughout the country. Following are some suggestions that you can look into, most are transferable to any area across Australia. We also recommend you start by calling your local council, and also contacting your local centre for volunteering to see if they have anything for young people. Please email us with any great opportunities you find in your area so we can share great resources when we get enquiries similar to yours. 2. Kids/teens going along with their parents doing Meals on Wheels in their area. ** Please note this is a Sydney based organisation and we recommend finding a similar organisation in your local area. 4. Responsible Runners – take a look at their website, families/teens can then head off to their nearest beach to collect rubbish – a bit of a treasure hunt http://responsiblerunners.org/find-a-clean-up They may want to start their own Responsible Runners Group for families and kids/teens. Give them a call and see if it’s something they’d like to promote. 5. Contact your local aged care home to see if you’d be able to come in to visit their residents – under 18s may have to be accompanied by an adult/parent. Enter ‘Athletic Event’ in the Category pull down menu on the right side of the page, as well as State to find charity runs in your area. Kids Giving Back is a Sydney based social enterprise and not for profit charity which provides age appropriate, easily accessible, meaningful volunteering opportunities for children, families, schools, community groups and corporations locally (Greater Sydney), as well as internationally through our partner program in Thailand. We are committed to providing volunteering opportunities for young people to give back, grow community, and develop a strong sense of self. 1. Like us on Facebook – this is our Hub where we post all opportunities https://www.facebook.com/KidsGivingBack. 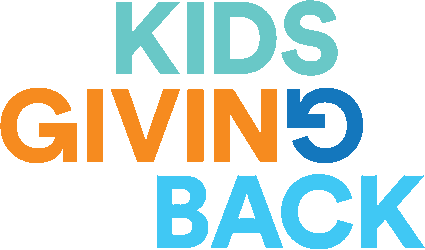 If you’re from a charity and would like to promote a way for children and families to volunteer, please contact us at info@kidsgivingback.org with details.